Chevron Square Sm $39.00 Special price: $0.00. Not online sale. 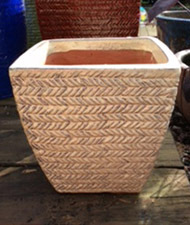 Chevron Square Med $89.00 Special price: $0.00. Not online sale.